James Burn Trio 50 CAL - A unique simple to use desktop all in one device for easy wire-o bind applications. 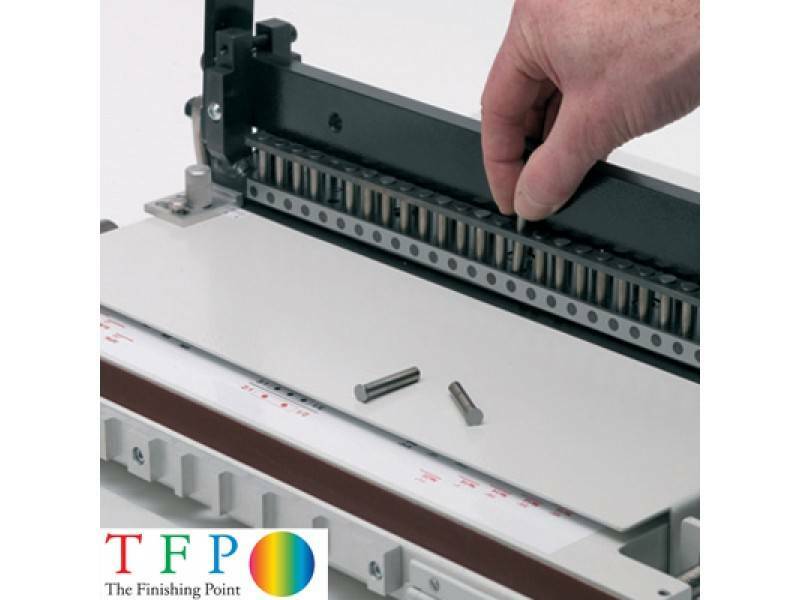 Offers both 3:1 and Calendar Punch patterns on one machine via a reversible operation method. Binds a width of up to 500 mm. The James Burn Trio Range offers 3 different wire binding machines under one umbrella of machines, the Trio 34, Trio 50 and Trio 50 CAL. All three models offer a unique simple to use desktop all in one device for easy wire-o bind applications. The standard Trio 34 and 50 offer both 3:1 and 2:1 round hole punching patterns on one machine with operating widths of 340 and 500mm. The Trio 50 Cal offers a standard 3:1 pattern and 3:1 with calendar thumb cut on one machine. All three also incorporate an easy setup wire closer with book thickness indication guide and adjustable tension screws. 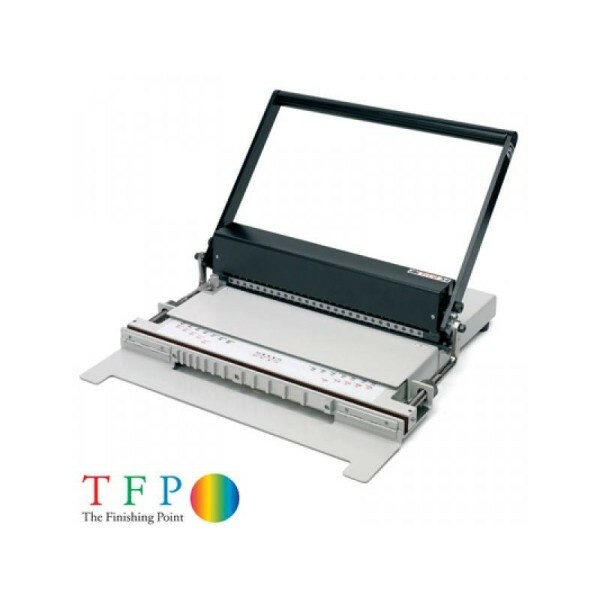 The Trio range are extremely versatile and easy to use, they offer the ability to punch and close all documents from 2 to 270 sheets or from wire sizes 3 (5.5 mm) to Size 20 (28 mm). 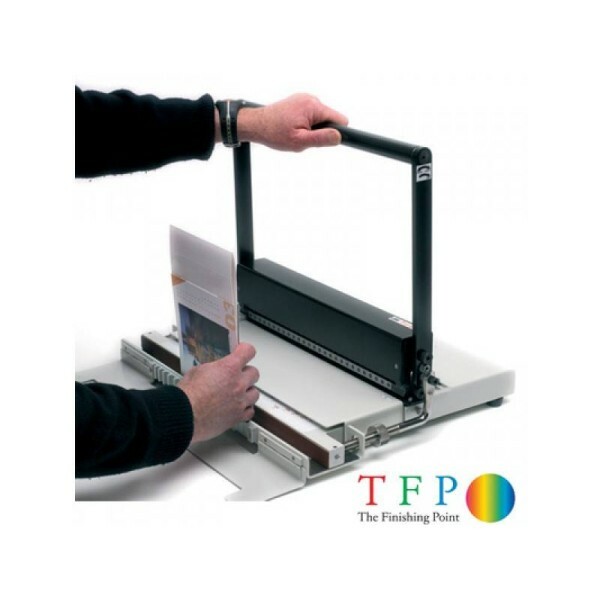 The Trio range is a cost effective, easy to use and compact desktop wire binding machine. 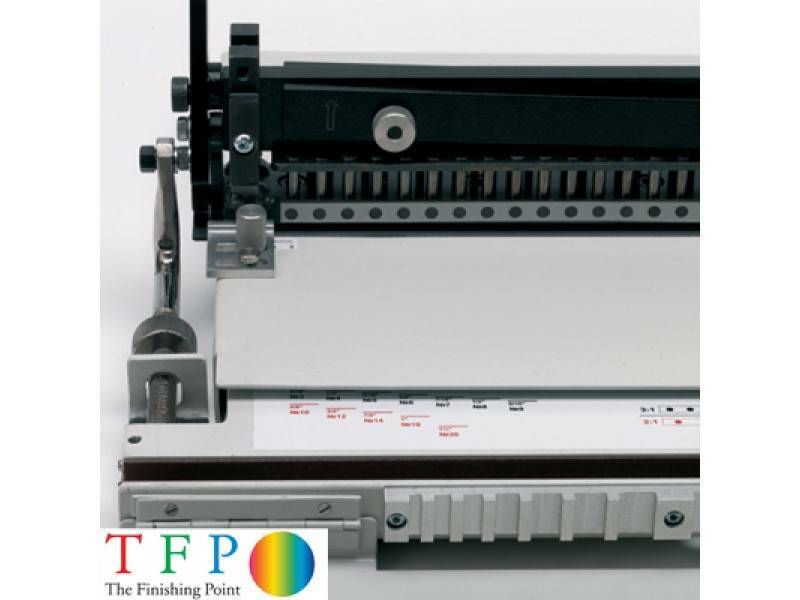 Unlike the other manual machines available, the Trio range offer both the 3:1 and 2:1 patterns on one machine enabling them to punch and bind the full range of standard wire sizes without the need to buy specialist wire in one pattern. 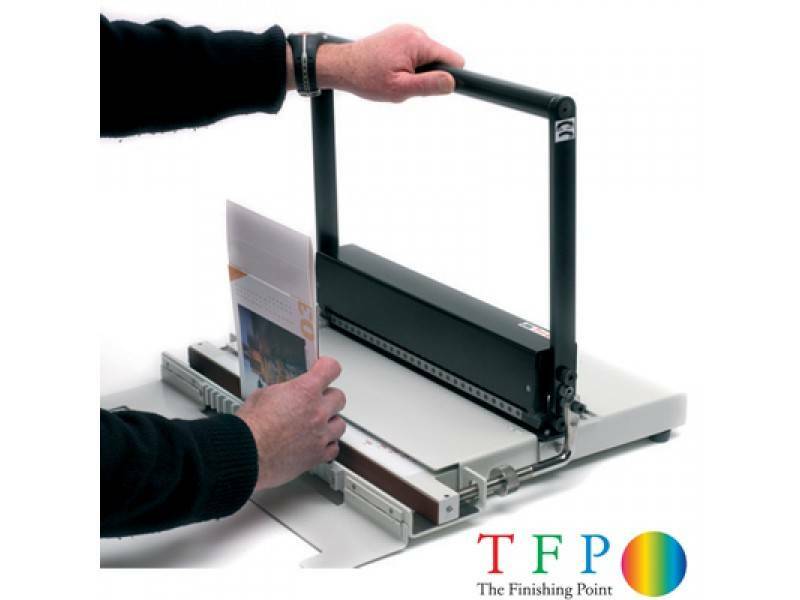 The Trio 50 and 50 Cal also offer a desktop solution for up to A3 widths with a 500mm punching length and the ability to produce high end A3 calendars. 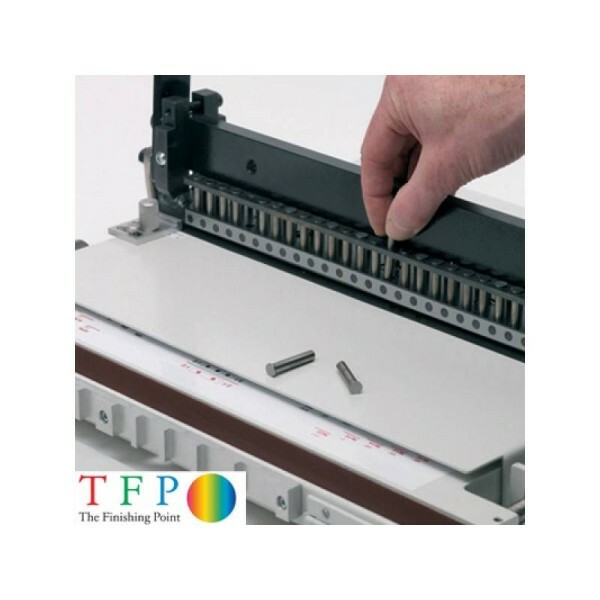 The James Burn Trio range offer simple operation, quick setup, accurate and reliable punching and closing and both punch patterns on one compact machine. 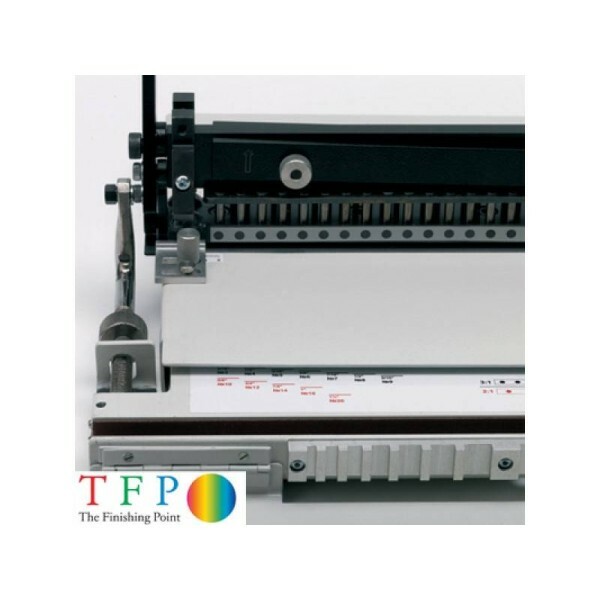 The operating handle on this wire binding machine activates both the punch and closer and is in a loop design meaning it can be operated with either hand. Odd sized documents are also easily accommodated as each punch pin is quickly removed without the need for any special tools. The integrated confetti waste tray also ensures your work area remains clear from debris.